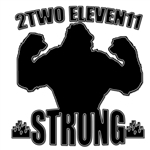 211 STRONG OR 2WO ELEVEN STONG IS A GROUP AND COMPANY. IT'S THE NEWEST MOVEMENT TO HIT THE INDUSTRY. WE DON'T TALKING, BECAUSE OUR MUSIC SPEAKS FOR US!!! 5 GUYS OUT OF CINCINNATI BRINGING REAL MUSIC BACK.... SNAP AND POP ON YOUR OWN TIME. THIS IS THE RETURN OF REAL RAP. LISTEN AND ENJOY!!!!!!! !